I used to breed snakes and sell them. I made thousands of dollars when I was 14, until the day the snakes turned on me and bit me every time I put my hand into their cages. Snakes aren't like dogs—they don't really want a relationship with their owners. Anyway, my snakes' vicious behavior destroyed my business. This is the story of my Snake Company. $250 bucks? I had an idea. I worked a deal with the snake breeder and he gave me 5 pairs of snake for $1,000 including supplies. My dad found this old shelving system and we converted it into "snake shelves". 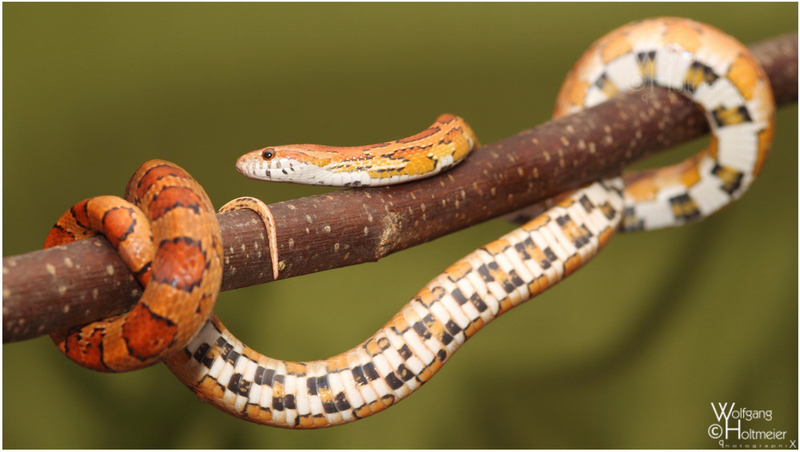 In no time, we had milk snakes, corn snakes, and gopher snakes—I was an official snake breeder. 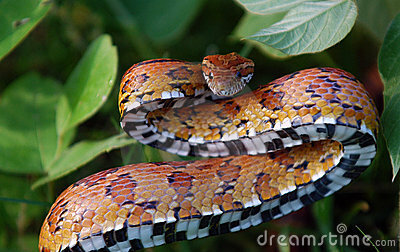 (A milk snake looks like a coral snake, but it's not poisonous. Brilliant, right?) Their babies sold for $125 each. They would have 20 babies every Spring, and I was in the big leagues. That's a lot of cash for a youngster. One day I'm feeding a baby snake an infant mouse. [Trust me, this is a real story. I couldn't make this up.] The baby snake mistook my pinky finger for the mouse's head. Snakes have what's called an "egg tooth." The egg tooth is the most painful tooth I've encountered in my life. The thing attached itself to my finger and no amount of shaking, screaming, or prying would get that snake to let go. I lost $125 on that feeding. Since that moment, the snakes turned on me. They started striking at me anytime I came close. It scared me and I showed it. So they would strike more, sensing my apprehension when I came near. A snake breeder who doesn't want to touch snakes is not a good business model. I hated my product, and my product caused me too much pain. The lesson: Don't wait for the snake to bite you before you quit the idea. I should have kept my pet snake as a hobby and never turned it into a business. Some ideas just don't have legs. Even though it's a hobby and you love it, it may not be a good business. Don't confuse the two. If you're not in it for the long run, you won't make it in the short run. When you pitch the idea to a few friends/colleagues that have a clue, do they start laughing and say "Really? You! Snakes? I didn't see that coming…"
Try before you buy. I should have owned a pet snake for a while to see if I even enjoyed it before starting a snake breeding farm. OR Hung out with someone who did have have a snake business and get an idea of what it would take. When your idea starts biting you and drawing blood, and when you hate your product. It often arrives naturally at your door. One day, you meet someone who knows someone and it just clicks. The key: keep trusting your instincts and taking action. The idea gets you excited. I was never excited about raising rats to freeze and feed to our snakes. Yeah, a snake farm equalled a rat farm. I didn't like rats either.